Golden Bug & Desilence Studio / V.I.C.T.O.R. 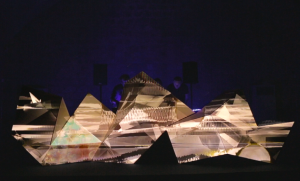 V.I.C.T.O.R is the new live project of the electronic music artist Golden Bug and the visual art studio from Barcelona Desilence. Mixing slow techno, organic visuals and retrofuturism mappings , V.I.C.T.O.R brings you too a unique musical and visual experience. Inspired by known toy Rubik’s snake, the triangular boxes-based structure is easy to build and transport. It’s totally flexible and ajustable, allowing the user to adapt its form to any kind of stage. Follow this project on 2016 !! 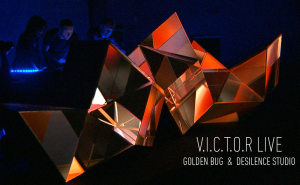 Golden Bug & Desilence Studio – V.I.C.T.O.R LIVE from Desilence Studio on Vimeo.